Patrick Dirksmeier says about the STEVENS Volt: “With this bike I can fully concentrate on what I have to do and that is going full speed. 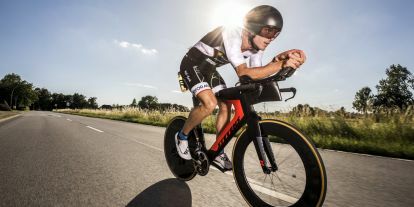 Everything else the bike does on its own.” The 2017 European Champion confirmed his statement in an impressive fashion at his Ironman debut July 2018 in Hamburg. 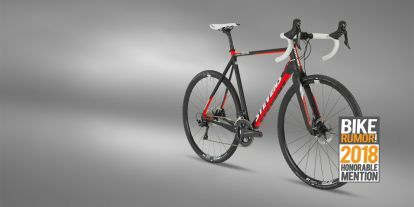 The most important criterium for road bikes in the 1,500-Euros category is value for money, says RennRad in its current 4.2019 issue: “Lots of bike, lots of sportiness, yet also lots of comfort, that’s what it’s all about.” Bikes in this price range are already far from being entry-level. 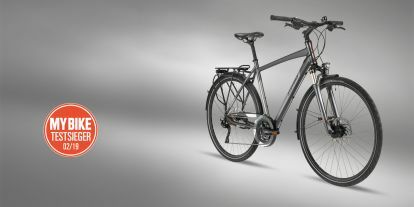 This is demonstrated by the STEVENS Aspin with its full Shimano Ultegra group mounted on a “very light and robust aluminium frame”, which also offered a comfortably balanced ride. 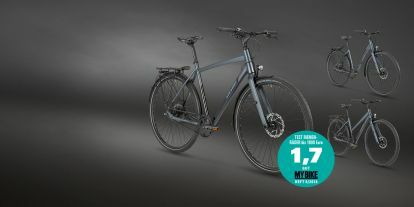 For the sum of its qualities the Aspin was awarded the “best buy” tip in a test field of nine bikes. 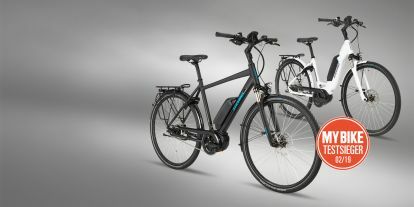 Every-day use e-bikes are made for the daily commute between work, home and supermarket – and evening trips or weekend tours. 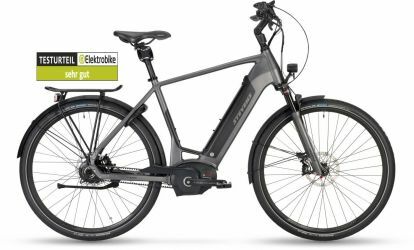 For every-day use they should withstand awful weather, be low-maintenance and roll along easily in rain and snow, these are the talents required from an e-bike according to My Bike. There might be other manufacturers offering triathlon bikes for less than 3,000 Euros, yet the high-quality Shimano Ultegra group on the STEVENS Super Trofeo was an absolute rarity in this price range, Triathlon’s editors say in a four-page single-bike test in the February edition of their magazine about the triathlon and time trial bike (with UCI approval for competitions). 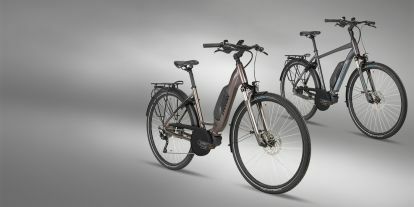 The battery is elegantly integrated into the frames‘ – Gent, Lady and Forma – down tube and therefore makes for low-key, clean typically bicycle-like appearance. 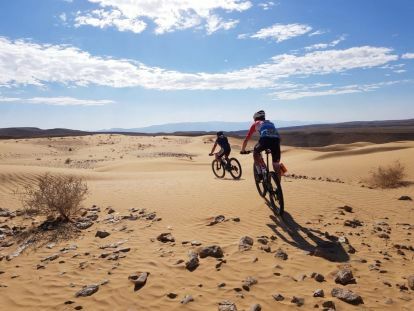 By incorporating it into the down tube the battery has a lower centre of gravity contributing to a high directional stability and easy handling. 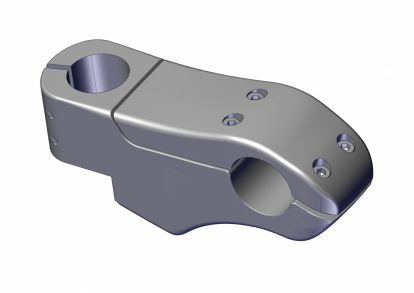 Also the q-factor, the lateral distance between the pedals, is small which adds to a natural pedalling style. 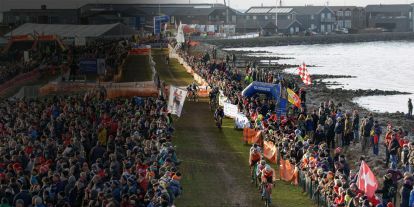 At Cyclocross World Championships in Bogense, DK, Sanne Cant in the Women’s Elite and Ben Tulett in the Juniors‘ defended their respective titles – Wout van Aert rides to Silver. 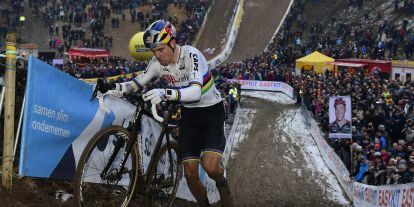 Wout van Aert won the Cyclocross WorldCup race in Pont-Château, France. The win in the penultimate race of the series ahead of Toon Aerts not only meant first place on this day, he also took over the overall lead in the World Cup from Aerts. 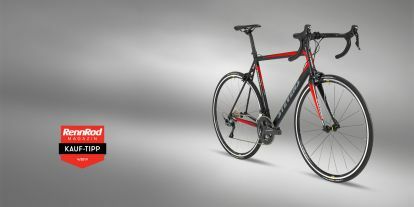 At first sight the STEVENS Super Prestige Di2 has hardly changed compared to its predecessor. This is how cycling.be starts its test report about the current STEVENS Super Prestige Di2 with Shimano Ultegra electronic shifting. Yet, the scales already give a hint to the significant work-over. The editor after many rides and races says that this bike was an outright race weapon. 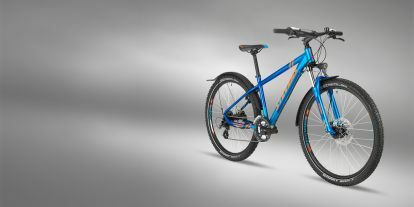 Not only because it’s the weapon of choice of Cyclocross World Champions Wout van Aert and Sanne Cant. Cyclocross World Champion Sanne Cant, IKO-Beobank, is in increasingly good shape as the season progresses. 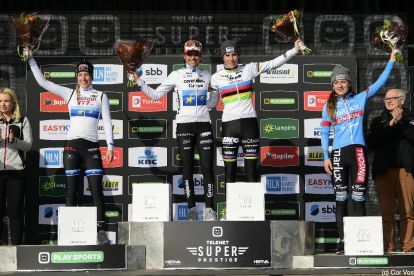 The race in Zonhoven, part of the Super Prestige Series, was so-to-say a mirror-image of her season so far.